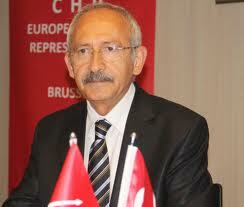 Republican People’s Party (CHP) leader Kemal Kılıçdaroğlu and İYİ (Good) Party leader Meral Akşener celebrated the founding of the Turkish Republic at the official ceremony in Anıtkabir, however, did not participate in the rest of the program at the presidential palace and the reception held in Istanbul. Akşener visited the first parliament building of the republic early on Oct. 29 along with her lawmakers. “One should not consider whether an individual is from leftist or rightist ideology while embracing the republic,” she said. The İYİ Party leader said the Justice and the Development Party (AKP) has not aimed to “administrate the republic, but to confiscate it” since the beginning of its rule.